Every month, over 30,000 google searches are entered for answers to the question, “What is bipolar disorder?”. 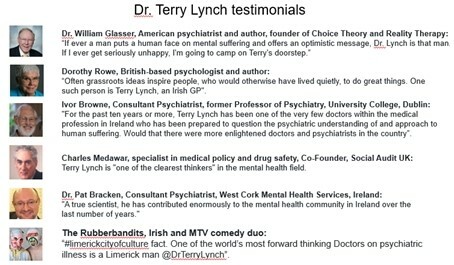 As a physician, psychotherapist, best-selling mental health author, mental health educator and provider of a recovery-oriented mental health service in which I have spent many hours every week for over 16 years working with people diagnosed with bipolar disorder – and prior to that, for 10 years as a GP, or family physician – I am in a position to provide some answers to this important question. My many years of study, reflection and most of all, years of listening very carefully to hundreds of people diagnosed with bipolar disorder has opened my eyes to truths and realities about bipolar disorder that are regularly missed by the prevailing approach to bipolar disorder. I have created a major course on bipolar disorder that – among many other things – answers this important question. The course is entitled Bipolar disorder: Cracking the code – all you need to know about bipolar disorder, in one course. If you have been diagnosed with bipolar disorder – or if someone important to you has been diagnosed with bipolar disorder – and you want to learn a great deal more about bipolar disorder, to help yourself or someone important to you, click here . If you would like more information about this course, and you are a mental health professional, and you want to greatly increase your understanding so you can work more effectively with people diagnosed with bipolar disorder, click here . When I use the term “prevailing view”, I mean the commonly held view or understanding of bipolar disorder. This view originates from society’s appointed mental health experts – psychiatrists. This view then filters through to mental health organisations, the media, doctors’ offices. This understanding has become the commonly accepted and unquestioned understanding of bipolar disorder, of what bipolar disorder is. 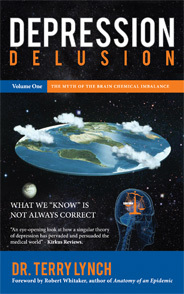 The prevailing view is that bipolar disorder is fundamentally a brain problem – a brain chemical imbalance; a brain disorder; a brain disease; a medical illness just like diabetes; a medical illness for which there is no cure, no chance of full recovery, for which therefore life lifelong maintenance drug treatment is the best option. Such assertions commonly emanate from authoritative sources such as the US National Institute of Mental Health, the American Psychiatric Association, and many others. Most people understandably assume that if sources such as these assert that bipolar disorder is known to be a brain disorder, a medical illness just like diabetes, these statements must be true. Perhaps because the prevailing view of bipolar originates from within the medical profession, one of the most trusted groups on this planet, most people assume that there is no need to test this prevailing view. 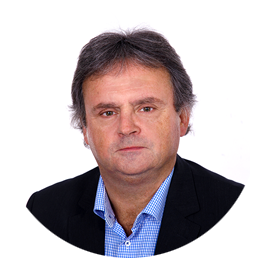 As a member of the medical profession for over 30 years now, specialising in mental health for the past 16 years, I have come to know how important it is to test all pronouncements on mental health, including – and sometimes, especially – the pronouncements that emanate from within the medical profession, from psychiatry and to a lesser but significant degree, from GPs (general practitioners, family physicians). I say “especially” here because the medical profession largely dictate and direct mental health globally, so it is especially important that the public can trust in what they are told by doctors in relation to mental health. And in order for us to know that we can trust what doctors tell us about mental health, we need to test what they say. In so many areas of life, populations in many countries have learned to their great cost how dangerous it can be to completely trust the words of people and groups in positions of power and authority, without putting their words and their practices to the test. People and groups in authority – including those with global authority over mental health – should similarly be regularly expected to have their pronouncements and their ways of working and operating put to the test. This is vitally necessary, in the public interest, to ensure that the public are being told truths rather than untruths and misinformation. Let’s see what happens when the prevailing view of bipolar disorder is tested against a core value and principle – THE TRUTH. It is widely believed that brain chemical imbalances are known to occur in bipolar disorder. Many highly respected medical sources and mental health organisations refer to this on their websites and information leaflets. The vast majority of the several hundred people diagnosed with bipolar disorder that I have met over the years have been told by their doctors – psychiatrists and GPs – that they have a brain chemical imbalance, which is causing their bipolar disorder. No brain chemical imbalance has ever been identified in even one person diagnosed with bipolar disorder, ever, anywhere in the world. No brain chemical imbalance tests are ever carried out here. Even people with a 30-year history of bipolar disorder have never had their supposed “brain chemical imbalance” confirmed by any test or investigation. Many authoritative medical sources unequivocally assert that bipolar disorder is known to be a brain disease, a brain disorder. Examples include the American Psychiatric Association, the US-based National Institute of Mental Health (NIMH, possibly the most influential mental health organisation in the world) and the International Bipolar Foundation. Bipolar disorder has never been established to be a brain disease, a brain disorder. Bipolar disorder does not even come close to meeting the medical criteria for a brain disease. I checked three official comprehensive lists of brain and neurological disorders. Each of these lists contained many brain disorders that I have never encountered in over 30 years as a physician – that’s how comprehensive these lists are. Bipolar disorder was not listed as a brain disorder in any of these three lists. One of these lists is on the website of the US National Institute of Neurological Disorders and Stroke, a sister organisation of the National Institute of Mental Health, in which it is explicitly and unequivocally claimed that bipolar disorder is a brain disorder. ALL known brain and neurological diseases and disorders are treated by society’s appointed expert brain doctors – neurologists and neurosurgeons, NOT by psychiatrists. Psychiatrists sometimes claim that neurologists treat organic brain disorders (brain disorders known to have biological brain abnormalities) while psychiatrists treat functional brain disorders. In truth, this is both an inaccurate distinction and incorrect. For example, no problem or abnormality in brain function has been reliably scientifically identified as being present in bipolar disorder. Bipolar disorder cannot therefore be truthfully described as a disorder of brain function – although it is often described as such. In a small minority of medical problems there can be identified problems with organ function without an identified corresponding biological abnormality (e.g. irritable bowel syndrome). These conditions are treated by the same group of specialists that great known organic biological conditions within that organ or system. For example, the specialists in irritable bowel syndrome are the same group of specialists that treat bowel cancer and ulcerative colitis – gastroenterologists (bowel specialists). In truth, it is neurologists and not psychiatrists who treat brain disorders where there is abnormality in brain function is clearly present without there being an identified corresponding biological abnormality – epilepsy being one such example. This assertion is regularly made – in medical information about bipolar disorder, in information provided by mental health organisations, and in doctors’ offices around the world. People are regularly told that, just as diabetes is a chemical imbalance illness (the imbalance being a deficiency of insulin, leading to abnormally raised blood glucose levels), bipolar disorder is a brain chemical imbalance illness. According to the prevailing view, taking medication for bipolar disorder is just the same as taking insulin for diabetes. A diagnosis of diabetes is never made without having established (though laboratory investigations) that the person’s blood glucose levels are abnormally high. A diagnosis of bipolar disorder is always made without any brain chemical imbalance tests being carried out, never mind found to be abnormally high or low. Treatment for diabetes is never initiated without having first established the presence of the chemical imbalance that is central to diabetes – raised blood glucose (except perhaps in some very rare life-and-death situations where the doctor very strongly suspects diabetes and there is not enough time to get a blood glucose test result). Treatment for bipolar disorder is always initiated without any knowledge or laboratory evidence of any brain chemical imbalance or problem. 4. There is no cure for bipolar disorder, no chance of full recovery. This is what people diagnosed with bipolar disorder are generally told. Stephen Fry, actor and President of MIND, a major British mental health charity, has publicly stated that bipolar disorder is “incurable”, a claim endorsed by his psychiatrist, who unequivocally stated in public to Stephen Fry that “you will have this (condition) for the rest of your life”. In 2008, prior to Stephen Fry being appointed as president of MIND and eight years before he told that world that bipolar disorder was “incurable”, this same organisation awarded British doctor Liz Miller as MIND Champion of the Year as a recognition of her full recovery from a diagnosis of bipolar disorder. In a subsequent 2008 Guardian interview, Dr. Liz Miller described the psychiatrists who treated her “have not been that helpful”. Full recovery from a diagnosis of bipolar disorder is possible. I personally know over two dozen people who have made excellent recoveries from a diagnosis of bipolar disorder, many of whom had several hospital admissions for bipolar disorder. The recovery process is often challenging and difficult. I am not suggesting that everyone can recover, or that everyone should try to. But recovery is not impossible, as many supposedly authoritative sources would have you believe. Does all of this mean that bipolar disorder does not exist, is not real? No, it doesn’t mean that. The experiences and behaviours that come to be diagnosed as bipolar disorder are very real. “Highs” (manic episodes) and “lows” (depressive episodes) do occur. But bipolar disorder does not exist as an established medical illness, brain disorder or brain disease. If bipolar disorder really was a brain disorder, it would be treated by neurologists and would appear on official lists of brain disorders. Does this mean that people taking medication for bipolar disorder can or should stop taking their medication? No, it doesn’t mean that either. Medication has an important place, an important role in bipolar disorder. Stopping bipolar disorder medication can have big consequences, such as relapse, hospitalisation, withdrawal effects. If bipolar disorder is not a brain disorder, a medical illness, then, what is it? In order to arrive at a deep understanding of bipolar disorder, we must expand our horizons beyond the narrow and distorted prevailing view of bipolar disorder. I say “narrow” because the prevailing view wrongly approaches bipolar disorder as a biological disorder, largely ignoring the emotional, psychological and social aspects, aspects that are in fact crucially important in terms of properly understanding bipolar disorder. I say “distorted” because the artificially narrow focus on biology is seriously distorted – the distortions being the many unequivocally-made assertions about bipolar disorder being a known brain chemical imbalance; a brain disorder; a medical illness just like diabetes, for example. By setting out to understand the experiences and behaviours that come to be diagnosed as bipolar disorder, we can understand what bipolar disorder is and why it occurs. This is what I have been doing for the past 20 years. According to the prevailing view of bipolar disorder, manic episodes make no sense, other than being understood as a characteristic of bipolar disorder. Therefore the only treatment that applies is medication. There are a number of triggering factors for manic episodes. Understanding these trigger factors, and the process from being relatively level and settled, to being in a manic state provides a wealth of information with which to understand manic states and why they occur. For example; suddenly-occurring major life events are one of the commonest triggers for manic episodes – the sudden death of someone very important in one’s life, for example. I have seen this on many occasions in my work with people diagnosed with bipolar disorder. Rather than assume the total “wrongness” of the features of bipolar disorder, I have learned that coming at bipolar from the opposite perspective is key to understanding bipolar disorder. I start by looking for the “rightness” in the person’s reaction – why it makes sense as an understandable reaction for them. By taking this perspective, for example, I have learned ( because I have witnessed it on many occasions) the manic episodes serve some purposes. Understanding this opens many other channels of potential work, in addition to medication. I have learned that, for some people, entering a manic episode becomes a way of avoiding having to really feel, deal with and address very difficult and challenging situations, such as the death of someone very important. The manic episode then causes a whole series of other problems, but it is initially deemed needed or necessary, as (a) a way of avoiding full-on contact with what for that person has become an extremely difficult reality, and (b) as an indirect way of expressing the overwhelm and distress the person is experiencing at that time. If you have been diagnosed with bipolar disorder – or if someone important to you has been diagnosed with bipolar disorder – and you want to learn a great deal more about bipolar disorder, to help yourself or someone important to you, click here for information about my course, Bipolar disorder: Cracking the code – all you need to know about bipolar disorder, in one course. If this information was helpful to you, please share with people who might benefit from having this information. If you would like to download a copy of this article for future reference, click here . This entry was posted in Blog, News and tagged bipolar, bipolar depression, bipolar disorder, brain chemical imbalance, manic depression, what is bipolar disorder, what is mania on 26th March 2017 by drterry.